Sharkbite filly, Neat Bite, gave rise to a promising 3YO career with a heart stopping performance to score over 900m at Cessnock on Monday. Coming from midfield with only two furlongs to travel, Neat Bite flew home to grab the verdict right on the wire. It was only Neat Bite’s second run and the Jeremy Smith trained 2YO appears to still have plenty of room for improvement. 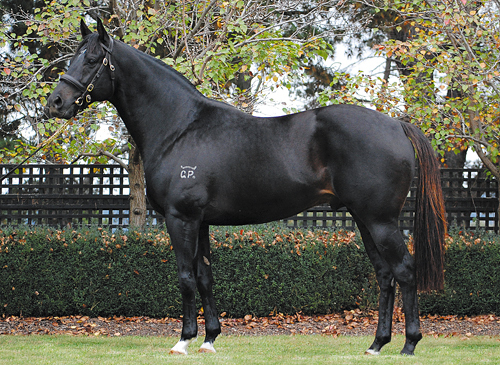 An outstandingly bred son of Redoute’s Choice, Sharkbite (below) has only had a handful of runners from a first crop that yielded just 45 live foals – it will be interesting to see what happens with another 157 foals from his next two crops! WHY OH WHY IS YOUR NOSE SO SHORT?